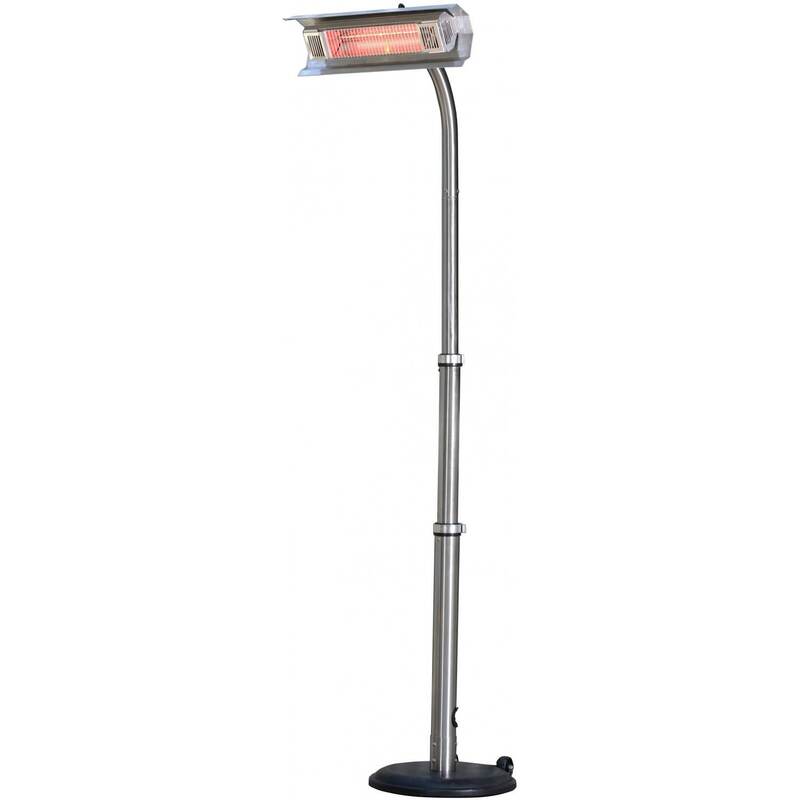 Make your patio a hot spot with a new electric patio heater! Electric patio heaters are perfect for those wanting to get more use out of their outdoor spaces year-round. They come in an assortment of colors and installations to suit a wide variety of residential and commercial spaces. Many people prefer electric patio heaters over gas because they're easier to install and cheaper to operate. 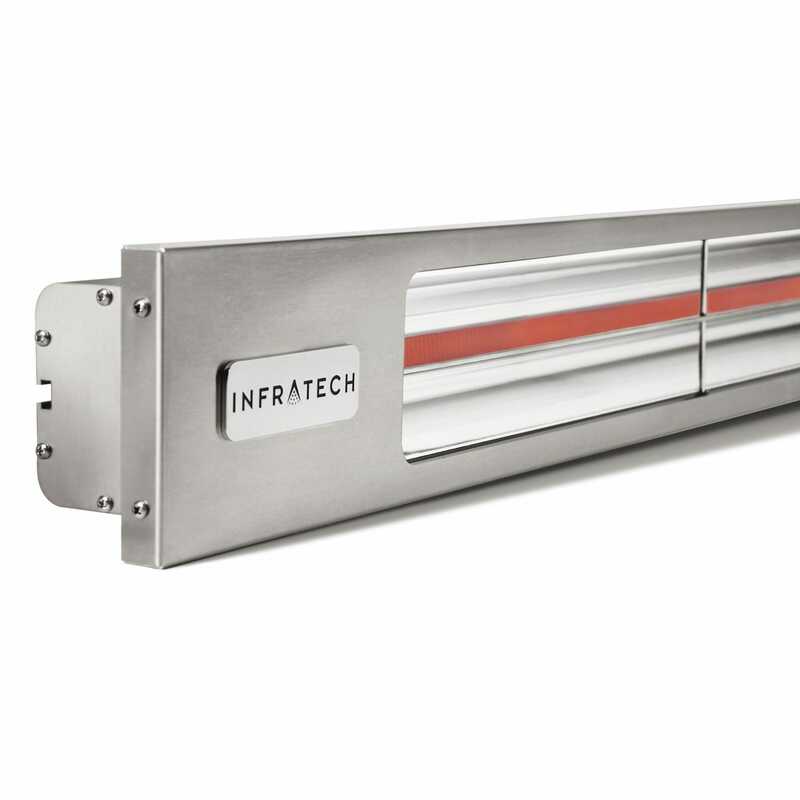 Efficiency - Not all patio heaters are created equal. 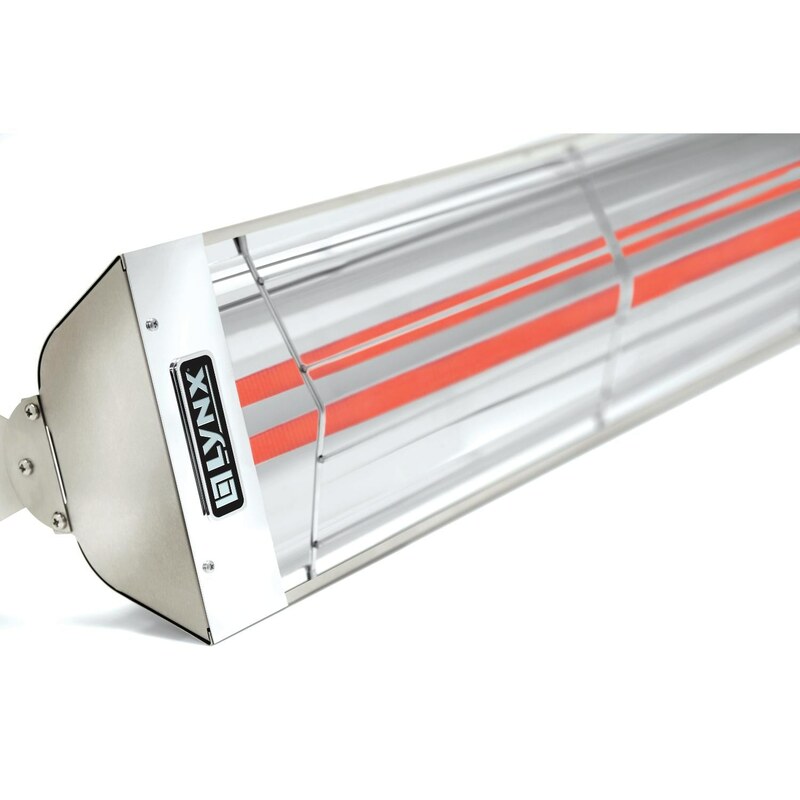 Depending on the installation of your patio heater, different models will do the job more efficiently than others. 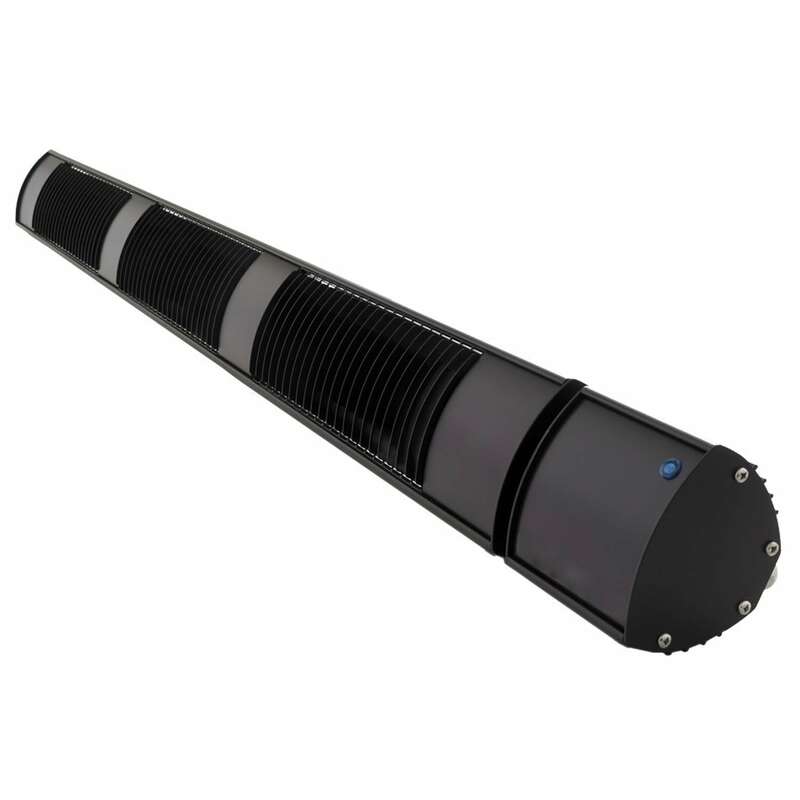 We've chosen some of our top performing heaters that are sure to warm your patio up. Style - Patio heaters have come a long way. You don't need to sacrifice style for function anymore! Our selection of sleek and stylish electric patio heaters are sure to fit right into your decor, no matter what your style is. Quality - With electric patio heaters, you want one that will last. Since your patio heater will be outside, you need to be sure that it will be able to withstand the weather. 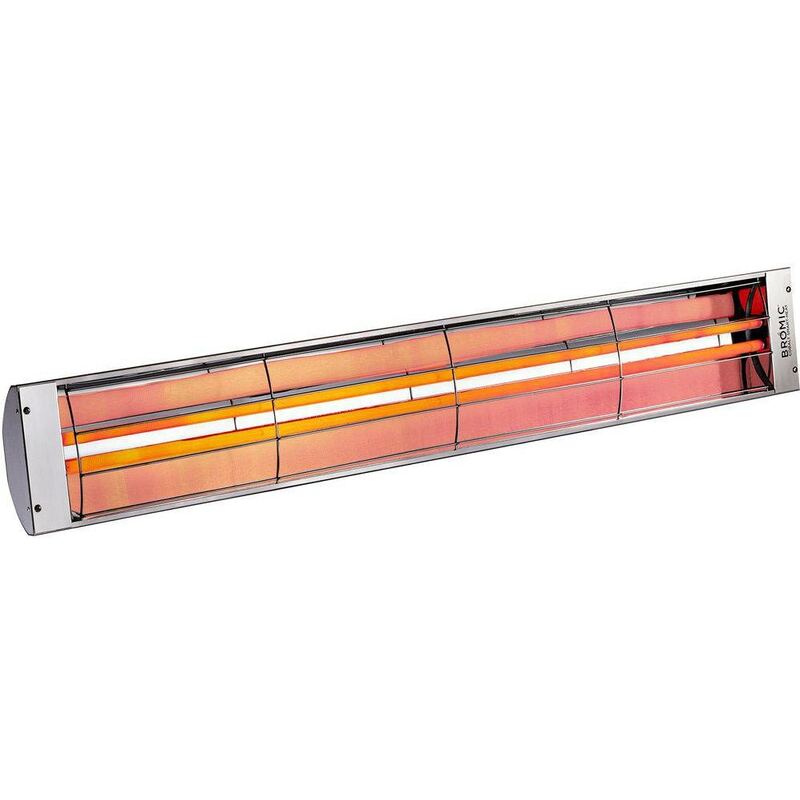 We've chosen patio heaters that are high quality and long-lasting. Boasts a crisp, modern styling and a variety of mounting options. 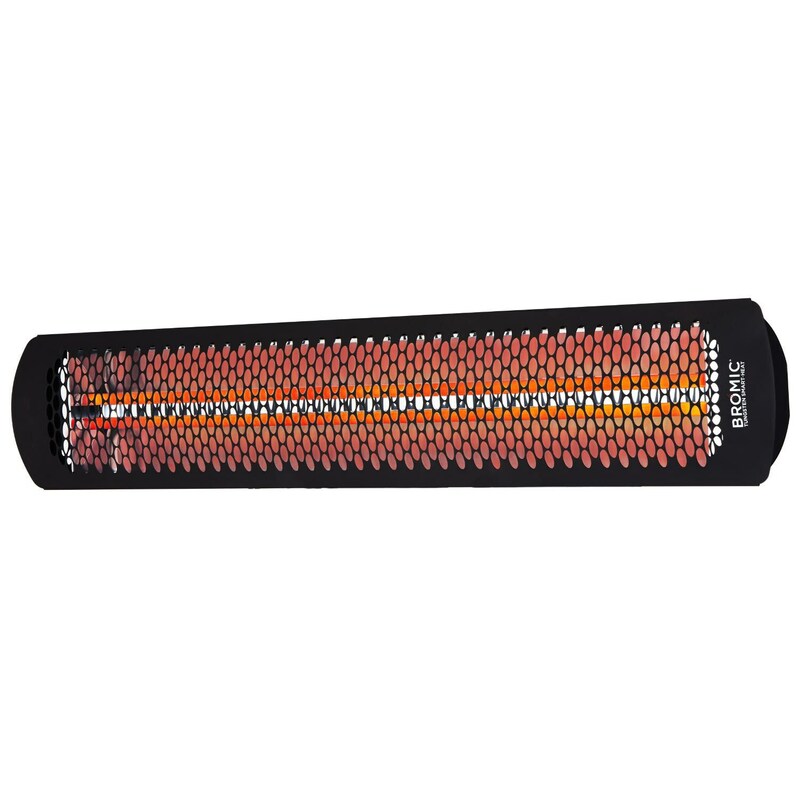 Utilizes one of the highest ceramic emitter surface temperatures to make it one of the highest radiant output heaters in its class. 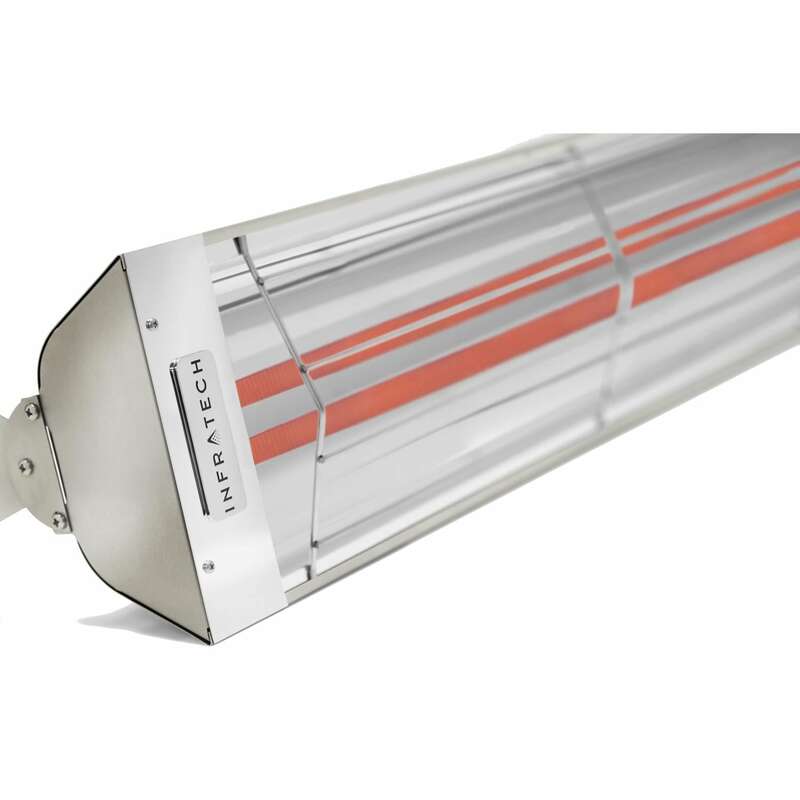 Reflector ensures that the heat produced is directed where you want it. An adjustable bracket lets you aim the heater precisely. 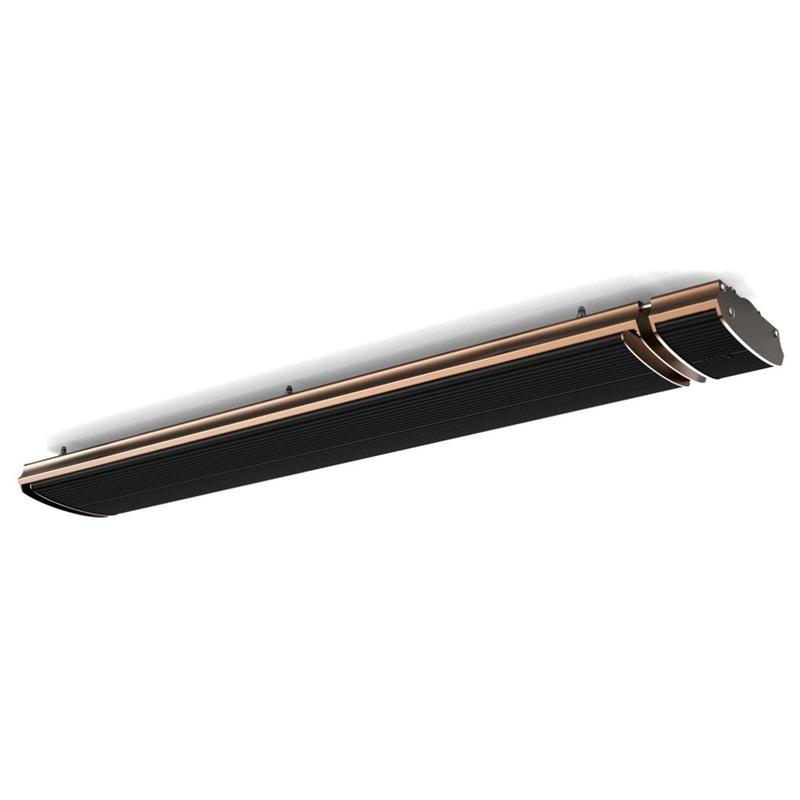 Can be flush mounted or installed to the ceiling or wall. Approximately 5000 hours of bulb life.